The Teaching with Library of Congress blog provides some great tips for finding articles in the Chronicling America Historic Newspaper Collections and provides some teaching ideas as well. Be sure to check out, too, the following learning activity: Comparing Reports: Battle of Little Bighorn. Below is a list of topic guides by subject, each of which includes a list of important dates, search strategies, and sample articles. You can also scroll through these topics by date range or by title. 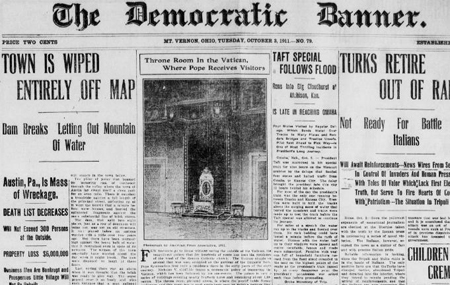 Do you know of more state-focused links to newspapers in the Chronicling America collections? If so, please let us know so we can add them here.